When I sat down on Friday night to watch the Boston Bruins play the Dallas Stars, I was excited about the game for a couple of reasons. For starters, in their previous two games the Bruins played well enough to win, but each time they got spurned in overtime. They clinched a spot in the 2018 Stanley Cup Playoffs on Wednesday by taking the St. Louis Blues to overtime, but when Jaden Schwartz smoked Anton Khudobin in the extra period for the game-winning goal, it seemed like two points just slipped out of Boston’s grasp — and since they are trying to catch the Tampa Bay Lightning for home ice advantage in the playoffs, getting that second point would’ve been a huge help. Friday’s game in Dallas provided an opportunity to bounce back from two disappointing OT losses and get back in the win column, which they did after a three-goal outburst in the third period gave them a 3-2 victory. Another reason why I was really looking forward to the game was because I would get to see Tyler Seguin, who, now a star center for Dallas, used to be my favorite young Bruins player back in the day. Seguin came onto the scene in Boston around the same time that I first started getting into hockey. He was one of the reasons I started passionately following the Bruins. I could see that the kid, who was only 19-years old at the time, had the potential to evolve into one of the biggest stars in the NHL. I even had his No. 19 sweater and everything. 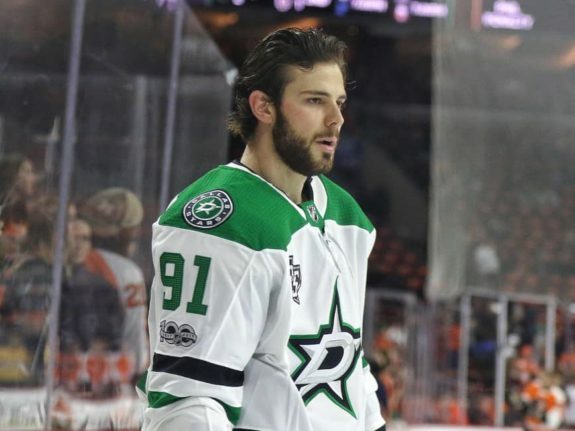 It’s safe to say that, when former Boston general manager Peter Chiarelli packaged Seguin up and shipped him off to Dallas in 2013, it was heartbreaking for me as a young hockey fan. I was excited to watch this guy become a star for my favorite team, and then suddenly he was gone — and the Bruins now have nothing left to show for it. It’s been five years since that trade, and I still feel like Seguin is the Bruin who got away. The Bruins traded Phil Kessel to Toronto in 2009 in exchange for a first round draft pick, and they used that pick to take Seguin second overall in the 2010 NHL Entry Draft. During his rookie season, Seguin mentioned that he wanted to model his playing style to teammate Patrice Bergeron. If Seguin turned into even half the player that Bergeron has been for Boston, he would’ve become eternally beloved by fans at the Boston Garden. Seguin showed some very good signs in his rookie year, eventually participating in the Rookie Skills Competition at the 2011 All-Star festivities. It wasn’t until the Eastern Conference Finals in 2011, though, that Seguin really burst onto the scene and made an impact on the team. After sitting out as a healthy scratch for the first two rounds of the playoffs, he was thrust into the lineup after Bergeron went down with a concussion. 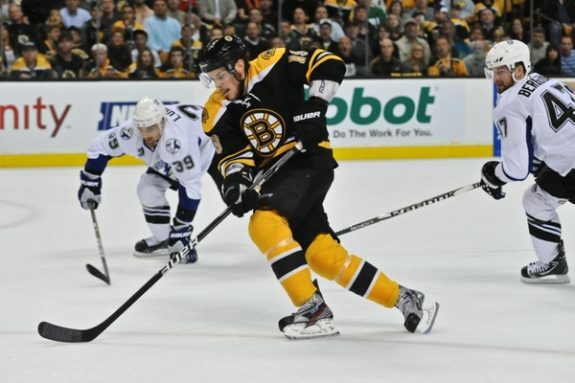 In his first playoff game, Seguin scored a goal and notched an assist in a Game 1 loss to the Lightning. In Game 2 — a must-win for the Bruins to avoid falling into an 0-2 hole — Seguin tied the NHL record for points in a single playoff game by a teenager (just 19 years old at the time) by scoring two goals and recording two assists. Seguin’s contributions helped Boston get back into the series with a 6-5 win. At that time, Nathan Horton was my favorite player — he was hands down the best goal scorer on the team that year when the Bruins won their first Stanley Cup in 39 years. But, Seguin’s contributions at such a young age and in such a pivotal playoff series, made him an easy second choice. Following their Stanley Cup season, Seguin continued to play in Boston for two more seasons. During that time, Seguin became my favorite youngster on the team. It didn’t take him long to make the transition from a teenage rookie in the NHL to a consistent and effective goal scorer. He made such huge strides during the 2011-12 season that he finished the year as the team’s leading goal scorer. He finished the year by scoring in overtime of Game 6 of a first round playoff series against the Washington Capitals to force a Game 7. Even though Boston lost, Seguin scored yet again in Game 7. The loss didn’t matter. I loved this kid. I was in the market for a new Bruins sweater at the time, and I couldn’t imagine a better option than a No. 19 Seguin jersey. I had my new jersey in time for the 2012-13 season, and I honestly thought I would be wearing it for years. I thought Seguin was going to become the team’s next Bergeron. But, it turned out that season would be Seguin’s last in Boston. The Bruins reached the Stanley Cup Finals again, losing to the Chicago Blackhawks in six games. Seguin only finished the playoffs with one goal and seven assists. It was somewhat of an underwhelming performance, but it was okay. Seguin still had a long career ahead of him. Little did I know that it would be taking place in Dallas, not Boston. That was that. Seguin was part of a package trade that sent him and two other players to the Stars in exchange for four players. His tenure in Boston was already over, and he was only 21 years old. From that point, I was pretty much done with Peter Chiarelli as Boston’s GM. I was ready for him to go. How could he trade away the team’s best young player with superstar potential? I remember thinking that if Seguin went on to become a megastar in Dallas, I would never forgive Chiarelli for trading him away. Sure enough, after making the switch from No. 19 to No. 91, Seguin broke out as one of the best offensive players in the NHL. Early in his first season with the Stars, he recorded four goals and an assist in a 7-3 win over Calgary. I couldn’t believe we let this guy go. 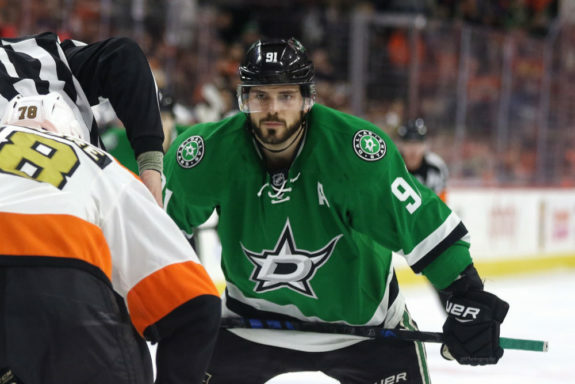 Seguin is about to complete his fifth season with the Stars, and he was recently selected as an NHL All-Star for the fifth time in his career. He’s one of the most dominant scorers in the league, and he’s still only 26-years old. He’s got plenty of hockey ahead of him still to play. Hopefully he’ll get his hands on another Stanley Cup one of these days. But to me, he will always be the Boston Bruin that got away. Man, I wish we had never traded him.